Yesterday when everyone in LA were putting on their fancy frocks we were at Chatton Trout Fishery enjoying a master class day with Lee Cummings. 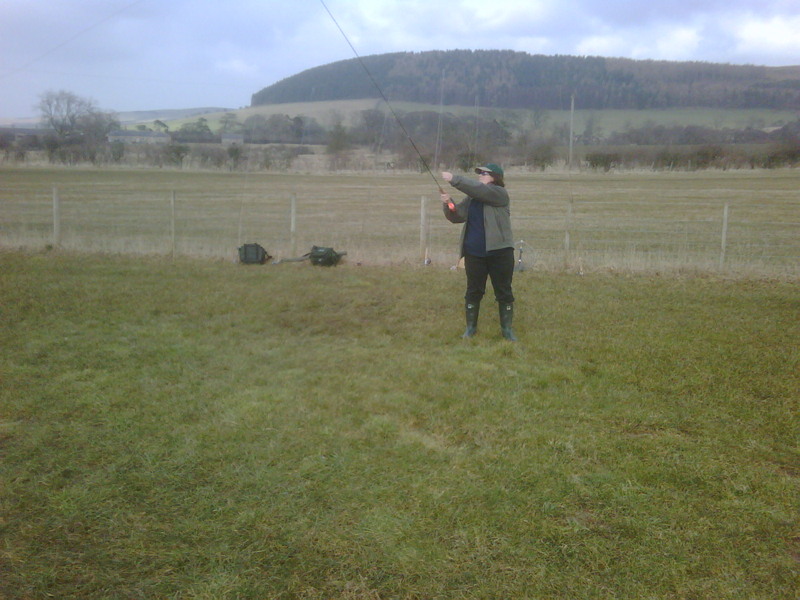 Two of the ladies were also taking part in the final of Game Angling Winter League competition also held at Chatton. Whilst we were flexing our rods performing double hauls, tight loops and perfecting the casting arc, Tracy and Mags were poised and in position to catch as many fish using fast/slow sink tips, buzzers, blobs etc. 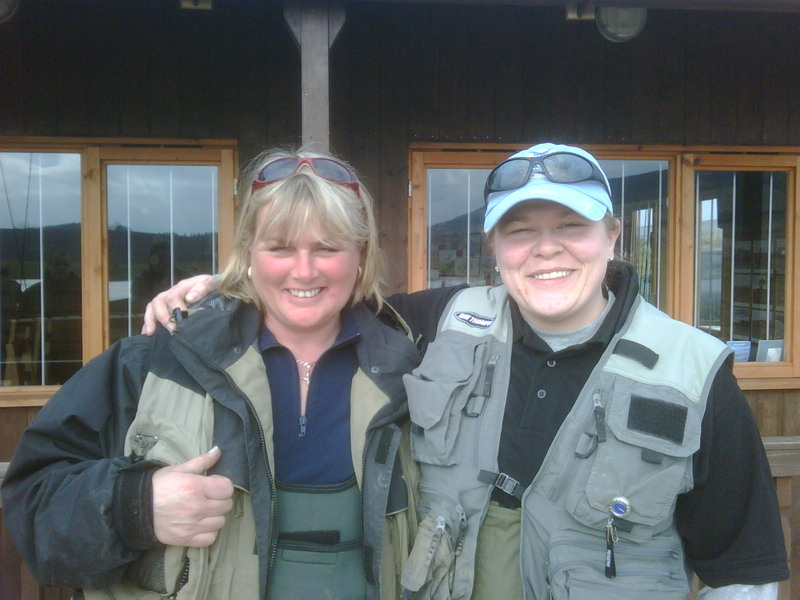 On the forum they say that “the fishing was hard” so the achievement yet again of the ladies just shows the boys that the ladies are starting to become a tough act to beat. Our thanks must go to Lee Cummings who yet again impressed us with his teaching techniques and his knowledge of fishing, equipment and the lunch time knot tying session. Thank you to Ali and her team for yet again their superb hospitality. It was great to see Ali join in the casting master class. I’m sure she’d agree Lee is in a casting class of his own. 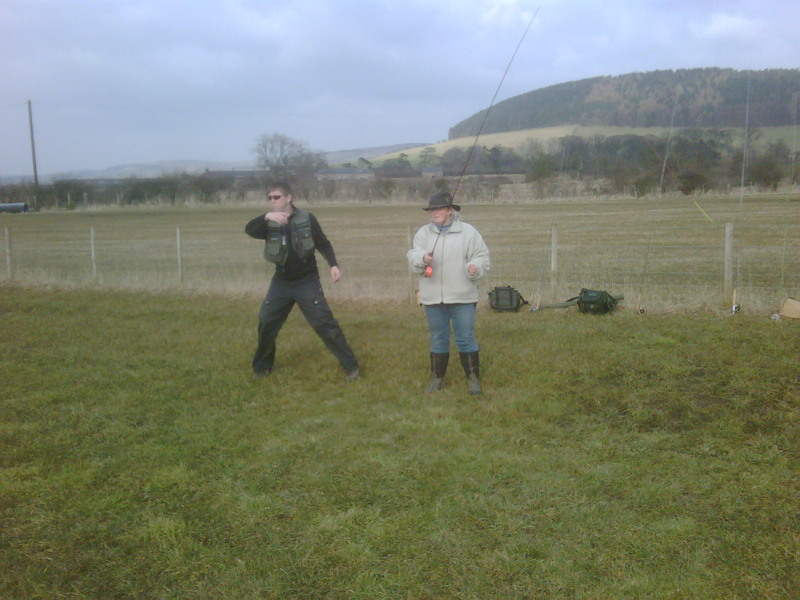 If you would like to find out more about Chatton fishery. Finally Sarah was casting with Lee on Saturday and can now Double Haul too. Well Done Sarah.